Much has been said about Tech’s quarterbacks, and not enough about the defense. Compared to last season where the unit forced 10 turnovers the entire year, this year’s Tech defense has already forced 20. Standout defensive end Anree Saint-Amour has amassed three forced fumbles and two interceptions on the season. 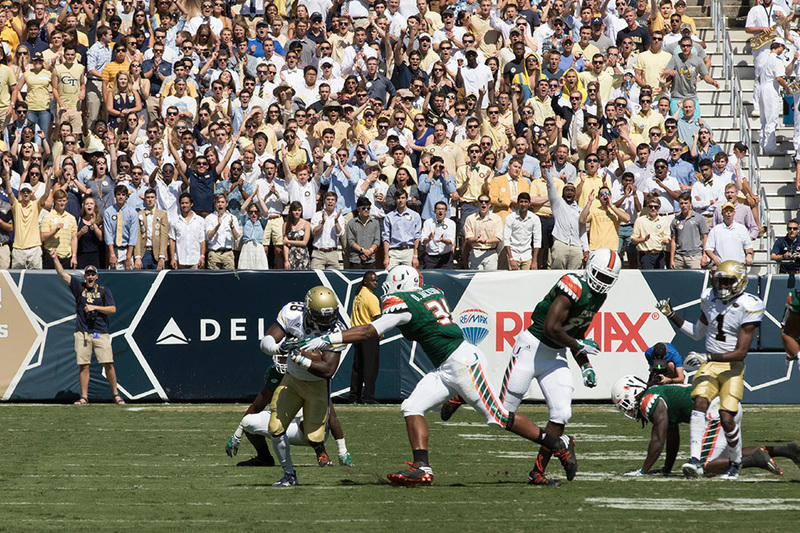 Taking the ball away from the Miami offense will set the Tech offense up nicely. 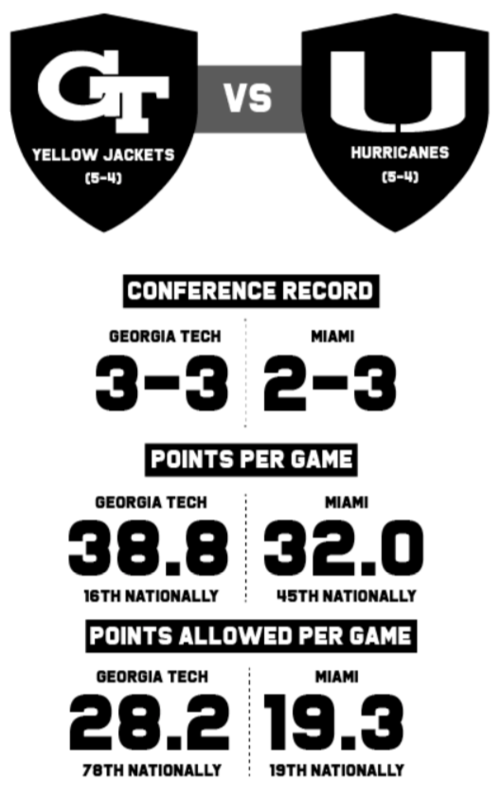 The Miami offense has slowed down tremendously from scoring an average of 41.5 points in the first six games of the season to a meager average of 13 points per game in their last three contests. This leaves Mark Richt with a quarterback controversy: move forward with redshirt senior Malik Rosier or give back the reins to redshirt freshman N’Kosi Perry? Richt has chosen to start Perry for the game but both quarterbacks will probably play.